The Auto locksmiths 10 day comprehensive course is the ultimate in Auto locksmith training. The 2 week course offers everything included in the 5 & 8 day courses plus training on additional advanced key programming equipment, together with 2 days of actual vehicle scenarios to hone your skills and build your confidence in your abilities. This course is suitable for those with little or no experience in the auto locksmith trade and offers a greater level of in depth training in both the mechanical and electronic parts of the market, culminating in gaining entry, making a key and programming a range of practice vehicles. 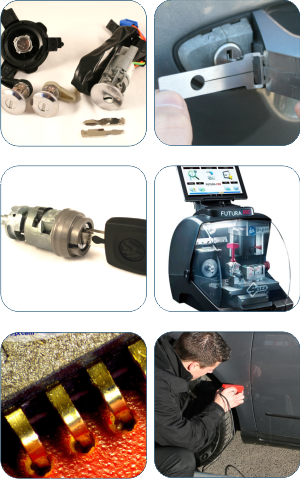 Within the training course you will have in depth training on the very latest state of the art equipment available to the modern Auto Locksmith, including key programming, cloning and eeproming equipment, as well as the Mr Li range of lock picks. This course is ideal for candidates that can be away from the business for a 2 week period or candidates that are looking for a career change. Again the course is ideal for locksmiths not involved in the auto market, motor trade operations that want to offer auto locksmith services and people looking for a career change into a niche market with a high level of technical content and good rewards. This training course is very popular with military personnel looking for a civilian life business opportunity. An ideal training course for someone wanting to start out in this trade with an exception level of training giving you the best start possible.